ULTRALIGHT — Weighs only 366 grams / 0.8 pounds. Sturdy & Strong, Compact & Light. Made with stainless steel 0.74 mm thick. NYLON CARRY CASE — included with purchase. 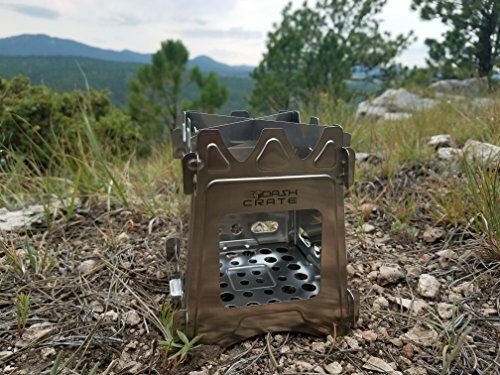 Stove easily folds flat for storage in backpacks, glove compartments, tool boxes, campers or anywhere. LARGE AND NUMEROUS VENTILATION HOLES — for maximum air flow provides an ideal environment for high temperature cooking. Easily and safely bring foods up to temperatures over 165 degrees and quickly boils water as well. 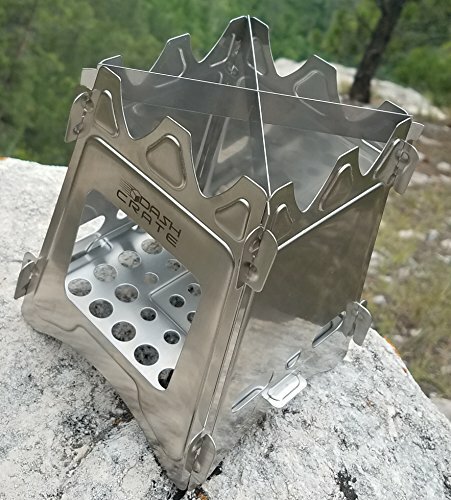 A compact, portable, ultra lightweight stove with a carrying case designed to be used anytime and anywhere. Made with high quality 304 stainless steel that is 0.74 mm thick with strategically placed bends to strengthen the structure. 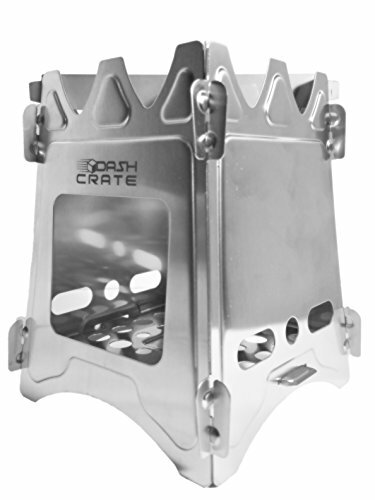 It is sturdy enough and strong enough to support large pots on a level surface. Insert firewood or any gel or alcohol fuel into the opening and have a warm meal in the great outdoors. PERFECT FOR COOKING — with Wood, Esbit Tablets, Charcoal, Pine Cones, Cedar Pucks, Stereo Fuel, ReadyFuel or any kind of Bio-Mass. 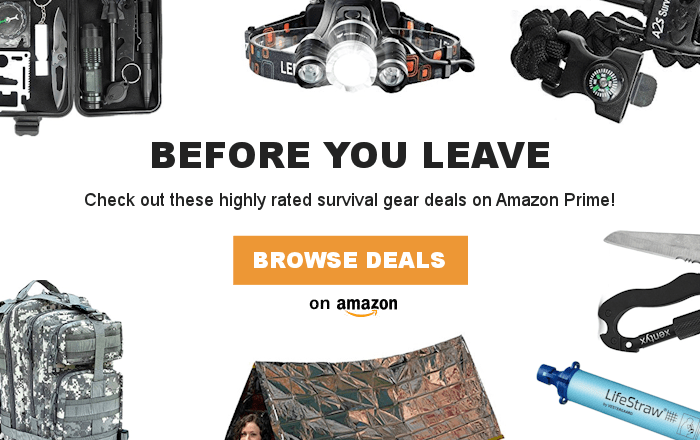 FAST SHIPPING AVAILABLE — Two Day Shipping with Amazon Prime.